National and congressional attention on college and university endowments is growing, generating various policy proposals that could limit the work of charitable nonprofits. This month, a Washington, DC think tank, The Education Trust, published findings indicating that educational institutions with endowments of $500 million or more tend to enroll fewer low-income students, leading it to assert that “dedicating more endowment assets toward supporting low-income students is sorely needed and is doable.” Earlier this year, House and Senate tax committee leaders sent letters to dozens of colleges and universities seeking information about endowment practices and support for student financial assistance. They reportedly are planning congressional hearings in the fall. Local governments, such as Washington, DC, are piggybacking on the threat of congressional action to draw attention to their desire to force nonprofit educational institutions to make “voluntary” payments in lieu of taxes (PILOTs) to provide new revenue for the cities. Last week, the Washington Post and Washington Business Journal accepted without questioning the pronouncements of city officials that Congress will be focusing on PILOTs, when in fact Congress has no jurisdiction over property tax exemptions, which are matters for state and local governments. Indeed, congressional leaders clearly stated their interest, and jurisdiction, is on the federal implications of the endowment payout questions that they have raised. Entities with endowments and payout requirements need to be aware of the federal hearings, while keeping a watchful eye for attempts by local governments to use the publicity for their own unrelated policy agendas. State and local governments likewise are required to follow the new overtime rule. Writing in Governing Management & Labor, Liz Farmer highlights that state and local governments are already aware that they will experience increased personnel costs for public employees. She points out that governments should also anticipate higher operating costs as the work performed for governments by nonprofits working under grants and contracts will have to be increased to account for changes in wage and hour laws. The National Council of Nonprofits’ recent report, The Nonprofit Overtime Implementation Conundrum, recommends that governments immediately reopen or renegotiate existing grants and contracts with nonprofits either to revise reimbursement rates that incorporate the increased costs of the overtime rule or to adjust performance obligations. Reopening grants and contracts now to address the intervening change in federal law will prevent a crush of activity on governments and nonprofits alike in December when the new rule takes effect. Back in Lowell the dispute is not going away, or getting resolved amicably. The Lowell Sun reports that the City Manager shared a draft agreement with City Council members that presumes payments by the university to the local government coffers. The University Chancellor, Jacquie Moloney, said that many of the items listed in the draft Strategic Partnership Master Agreement were never on the table for discussions, and that many are senseless since the university is by law precluded from agreeing to, such as making payments in lieu of taxes (PILOTs). Noting that the university is owned by the Commonwealth of Massachusetts, Chancellor Moloney asked, "Is the manager trying to tax the courthouse?" Fees: Nonprofits may be charged food service permit fees if the Boone County (Illinois) Health Department is successful in securing a change to the county code. The county, near Rockford on the border with Wisconsin, estimates that it would raise an additional $22,000 from about 30 nonprofits if the law is changed. Nonprofits and some residents reportedly are opposing the proposal, stressing it would be unfair for nonprofits to start paying the permit fee while the state's budget impasse continues to impose unfair burdens on nonprofits providing services in the community. PILOTs: While continuing to assert that the Boston PILOT scheme is a success, the Mayor’s office is acknowledging that participation by nonprofits is declining and that the City is receiving less in “voluntary” payments in lieu of taxes (PILOTs) than it demanded. In 2011, Boston launched its plan to divert money from nonprofit missions by demanding "voluntary" annual payments from nonprofits owning property in excess of $15 million. This past year, only 29 of 49 nonprofits contributed the full amount sought by the City, down from 31. The PILOT program generated revenues of $32.1 million, or 68 percent of the $47.4 million elected officials assumed they were somehow entitled. The Honolulu City Charter Commission has voted not to add a ballot amendment in the November election that would have removed a current requirement that one-half of 1 percent of Honolulu City general fund revenues (about $6 million annually) go to nonprofits via a Grants in Aid program. The funding, approved by an impartial panel, goes to nonprofits that provide services to economically and socially disadvantaged populations, or work for the public good through the arts, culture, economic development or the environment. Voters approved the guaranteed revenue stream for the work of nonprofits in 2012. The Commission rejected the new ballot proposal after hearing from nonprofits and constituents who shared how Grants in Aid support has proved essential to nonprofit services. The Honolulu Star-Advertiser also opposed the proposed ballot measure. The Commission did pass an amendment that will clarify the GIA Fund as "the sole source of funds" to award Grants in Aid to nonprofits. This does not pertain to other funds that might be reimbursed through federal, state, and local grants and contracts. Volunteer driver programs are a big help for seniors who may not have the mobility to drive themselves to doctor’s appointments and other outings. Throughout the United States, 800 volunteer driver organizations exist in 37 states, where last year 74,000 drivers provided rides to 471,000 individuals, Stateline reports. A 2011 study from the National Conference of State Legislatures and AARP, Aging in Place: A State Survey of Livability Policies and Practices, found that “significant legal ambiguities” abound concerning volunteer driver programs. Currently, only six states provide legal protections for volunteers who may face raised rates or cancelled policies from insurance companies. This year Maryland enacted a law protecting volunteer drivers from discrimination by insurers. Many nonprofit organizations purchase additional insurance that shields them and their drivers, but it is up to state lawmakers across the country to introduce legislation that fills in the gap for drivers and their organizations. A group of anonymous donors has agreed to contribute $70 million to a fund to help fix municipal budget problems, support “aspirational” projects such as small business loans and sidewalk improvements, and enable the city government to lower property taxes by a third, the City of Kalamazoo, Michigan announced. This windfall comes after the Kalamazoo government has faced structural budget shortfalls, forcing Moody’s to downgrade the city’s credit rating twice. The donations reportedly will contribute to the creation of a new charity, the Foundation for Excellence, which planners expect will be fully funded by a broad donor base by 2020. That new foundation is expected to provide $13.8 million each year to the city’s general fund, and city officials will have full authority on how the money will be spent. Another Kalamazoo foundation, the Kalamazoo Promise, was founded in 2006 to send local public school students to college free of charge. Perhaps more than any other year, the public has every right to be confused about who can vote and when, and about what charitable nonprofits can and can’t do when political candidates are involved. In both sets of questions – election law and tax law – state associations of nonprofits are stepping up to provide clarity. In recent days, restrictive election laws in Kansas, Michigan, North Carolina, North Dakota, Texas, and Wisconsin were struck down by federal courts, leaving voters to wonder what rules will apply and how their constitutional rights will be protected. Judges are rejecting strict voter identification requirements, limits on early voting, restrictions on voting by provisional ballots, and more, ruling that the restrictive laws unfairly discriminate against minorities. In most instances, the courts declared that prior laws will control during upcoming primaries and the general election, but legislatures could intervene and draft new election laws. Seeing the election-law turmoil as a threat to democracy, the North Carolina Center for Nonprofits is going out of its way to clarify what voters can do. “Last Friday, the U.S. Court of Appeals for the Fourth Circuit struck down several changes to election laws that were enacted in 2013,” the Center wrote to its members. It explains that, as a result, North Carolinians will not be required to show photo IDs to vote in the 2016 general election, the Early Voting period for the 2016 general election will be run from October 20 to November 5, same-day registration will be available during the Early Voting period, and registered voters who show up at the wrong polling place on Election Day will be allowed to vote with a provisional ballot. The Center also prepared a guide of what North Carolina nonprofits need to know for the 2016 election and compiled links to other useful resources for nonpartisan voter registration, voter education, and get-out-the-vote efforts for North Carolina nonprofits. Always the advocate for nonprofits and democracy, the Center reiterates tips on several easy and nonpartisan things nonprofits can do to maximize public participation in the 2016 election. Questions about endorsement of candidates recur every election season, but the uncertainty may be growing. Earlier this year, nonprofit Georgetown University barred students from displaying partisan campaign signs and distributing literature on campus. Liberty University President Jerry Falwell publicly endorsed a presidential candidate, but took pains to stress that his endorsement was personal and not on behalf of the nonprofit university. In May, the Chicago Sun Times reported it had found instances in which nonprofits had made campaign contributions over the past ten years. A mayoral candidate in Hilo, Hawai`i is complaining that he was excluded from participating in a nonprofit-hosted candidate forum. This means that campaign contributions and endorsements made in the name of the 501(c)(3) organization are not allowed. In the case of the Hawai`i candidate forum, “It’s a best practice to invite all candidates,” said Lisa Maruyama, president and CEO of the Hawai`i Alliance of Nonprofit Organizations, when interviewed about the candidate’s complaint. 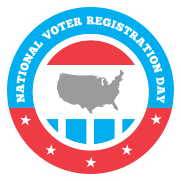 - Rashaun Holliman, National Voter Registration Day website. What Great Leaders Do, Tim Storey, State Legislatures Magazine, July/August 2016, providing truly insightful observations about the ten things it takes for legislative leaders – and nonprofit leaders as well – to be effective, ranging from #1. Have a Vision and #2. Listen More Than Talk, to #9. Commit to Learning and #10. Use Humor. Civil Dialogue: A Nonprofit Leadership Mandate, Liz Moore, Montana Nonprofit Association Blog, July 27, 2016, providing insights into the question, “What is the role of the nonprofit sector at large” to the political and social climate we’re living in. Charities, stop stereotyping people of color as needy, Jatrice Martel Gaiter, Senior Vice President of Volunteers of America, Chronicle of Philanthropy, July 2016, speaking up and calling out how racism, often due to ingrained, implicit biases, can invade charitable nonprofits and undercut the effectiveness of otherwise worthy missions. See also, Nonprofit Knowledge Matters, July 20, 2016. Budget Chaos, State Legislatures Magazine, July 27, 2016, reviewing the “Pennsylvania Predicament” and the “Illinois Imbroglio” – the historic budget standoffs between Governor and Legislature in those two states – to provide guidance to officeholders on what not to do. How Public Charities Can Be Involved in the 2016 Elections and Talk about the Issues, Venable Law Firm, August 2016. Nonprofit PILOTs, Daphne Kenyon and Adam Langley, Lincoln Institute for Land Policy, July 2016, republishing often-cited research about nonprofit payments in lieu of taxes (PILOTs) and recounting some of the cons and pros of municipalities seeking to demand voluntary payments from nonprofits. 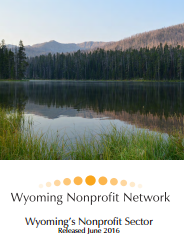 Wyoming’s Nonprofit Sector, Wyoming Nonprofit Network, June 2016, designed to bring awareness to the breadth and scope of Wyoming's charitable nonprofit sector and highlight the sector's combined economic impact. The number of state and local government employees (FTEs) in the country in 2014. Wyoming’s governments employ the highest ratio of public workers for every 10,000 residents – 446 – due in part to the high number of public hospitals in the state. Arizona, Michigan and Nevada employ roughly half as many state and local employees per capita. Source: States Where Government Workers Are Most Prevalent, Mike Maciag, Governing, July 19, 2016.